I was born and raised in Lancaster County, PA and graduated from Hempfield High School. I followed my high school graduation with a few college classes before entering the work force full time. As a young man, I worked in several different fields, including work as a machinist, a plumber, and a shop mechanic, before settling into a pipe fitting job at Armstrong World Industries, Inc. I worked at Armstrong for 24 years, working my way from the entry level pipe fitting position to the position of facility manager at the Lancaster plant. In 2011, I left Armstrong to pursue another avenue in my professional life. Keeping in the management field, I went to work for Compleat Restorations. At Compleat I held the position of general manager for the Compleat Environmental Services division. After 5 ½ years at Compleat, I left to pursue the franchisee opportunity with JDog. I thank my father, Edward Springer, Sr. for affording me the opportunity to purchase JDog through his service to the United States Air Force. My father joined the Air Force in 1948, and the values of respect, integrity and trust were constants throughout my childhood. My father also took from the Air Force a love for flight, and pursued flying as a hobby. I have many fond memories of my dad taking me up in Cessnas and of seeing Lancaster County from the air. I look forward to providing employment to veterans as my JDog franchise grows. My wife and I have a heart to reach out and help veterans and have belonged for several years to a committee through which we do that. Our committee currently does several things, including but not limited to, sending care packages to deployed service members, honoring and remembering the aging veterans at a local nursing home, and providing a free veterans dinner every spring. 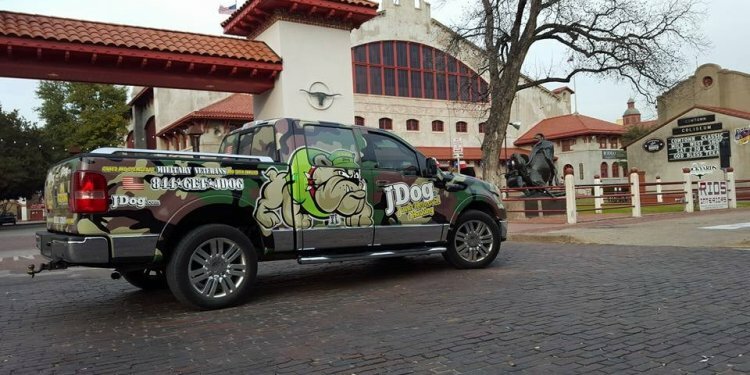 Through JDog I see more opportunity to provide a hand up to veterans in our community.